A new selection of post-impressionist painter Vincent Van Gough's letters, The Letters of Vincent van Gogh put a human face on one of the most haunting figures in modern Western culture. In this Penguin Classics edition, the letters are selected and edited by Ronald de Leeuw, and translated by Arnold Pomerans in Penguin Classics. 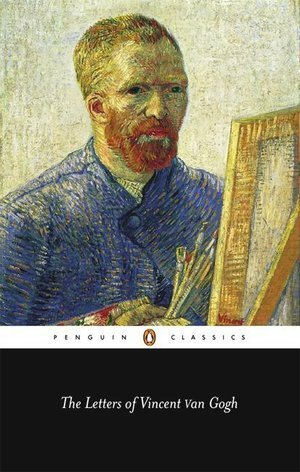 Few artists' letters are as self-revelatory as Vincent van Gogh's, and this selection, spanning his artistic career, sheds light on every facet of the life and work of this complex and tortured man. Engaging candidly and movingly with his religious struggles, his ill-fated search for love, his attacks of mental illness and his relation with his brother Theo, the letters contradict the popular myth of van Gogh as an anti-social madman and a martyr to art, showing instead a man of great emotional and spiritual depths. Above all, they stand as an intense personal narrative of artistic development and a unique account of the process of creation. The letters are linked by explanatory biographical passages, revealing van Gogh's inner journey as well as the outer facts of his life. This edition also includes the drawings that originally illustrated the letters. Vincent Willem van Gogh (1853-1890) was born in Holland. In 1885 he painted his first masterpiece, The Potato Eaters, a haunting scene of domestic poverty. A year later he began studying in Paris, where he met Gauguin, Toulouse-Lautrec and Seurat, who became very important influences on his work. In 1888 he left Paris for the Provencal landscape at Arles, the subject of many of his best works, including Sunflowers.